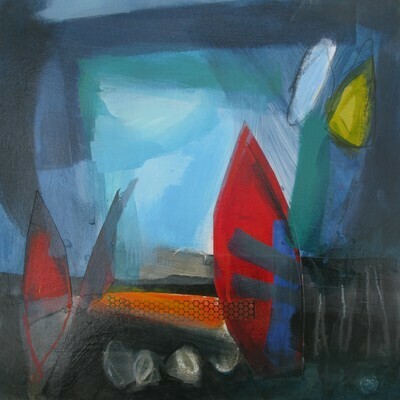 Acrylic paintings and mixed media work in beautiful, vibrant colours. 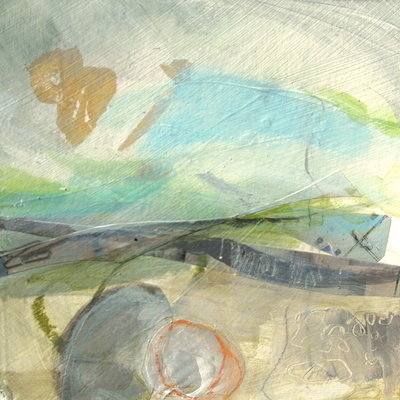 My work is inspired by scenes here on thw Isle of Wight as well as coastal landscapes of the South Coast of England. Also, classical bright white plastercasts of local marine life. I began my career as fashion designer and spent my early career designing childrenswear and later, teaching. I've always felt that my training in design enabled me to appreciate working in many different mediums, and to this end I've been a potter, taught interior design, painted and more recently cast in plaster of Paris, a material that has always fascinated me. The plaster casts I've been working on have a marine theme. Fish and shells have been reproduced in fine plaster, enabling amazing detail, usually hidden away by the colours of there objects to be seen. I love the way everyday objects take on a classic sculptural look. 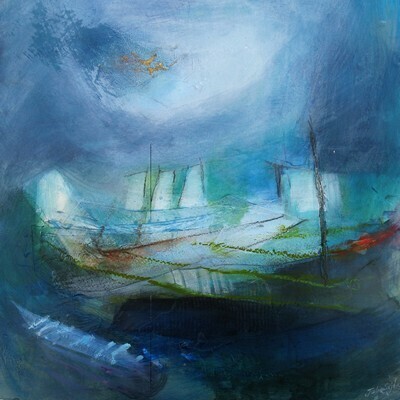 As for my paintings,they too have nearly always been about the sea. The sea here on the Island, the shores, rivers and estuaries we know so well from our local landscape. I also draw on the scenes captured from my time living in Aquitaine in South-west France: the oyster beds of Arcachon, sand dunes in bright June sunshine, sea grasses. 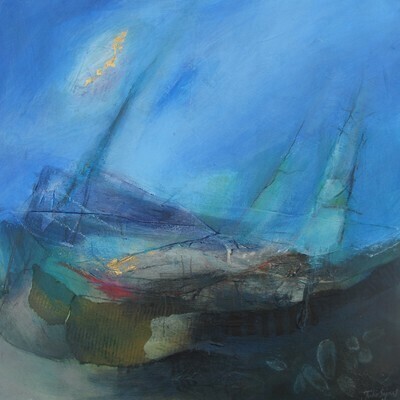 More recently I have been moving further into abstract work, highly coloured mixed media pieces which still talk of the sea.